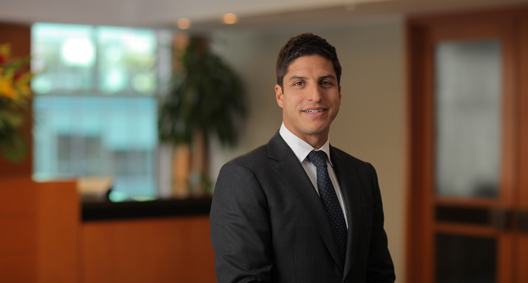 Fernando Bohorquez is a forward-thinking, problem-solving, innovative attorney who handles commercial, intellectual property (IP), and bankruptcy litigation and business disputes. Currently the Litigation Group coordinator for BakerHostetler's New York office, Fernando has deep knowledge and experience with all phases of civil litigation, managing large-scale cases in high-profile and high-pressure environments. He leverages these skills sets, as well as his networks inside and outside the firm, to advise a variety of emerging tech startup and social media clients on business law, intellectual property, online advertising, and privacy and data security. He is a frequent speaker on social media and digital marketing, privacy and data security, electronic discovery, and law firm diversity initiatives, and has published several articles and blogs on online advertising and marketing, internet-related intellectual property issues, and electronic discovery, including regularly contributing to the firm's Data Privacy Monitor and IP Intelligence blogs. For Fernando's thought leadership on these topics, click here and here. Fernando is also certified as an Information Privacy Professional by the International Association of Privacy Professionals. Fernando is very involved and invested in the startup community, representing and counseling early-stage companies in the ad tech, civic tech and health tech verticals. He serves as a leading member of the firm's Emerging Company team, spearheading the firm's sponsorship of the German Accelerator program in New York City as well as the New York office's collaboration with Civic Hall, and he speaks at local law schools. Fernando's commitment to diversity also extends to the startup space, where he represents and counsels various minority- and female-owned tech companies. Integrally involved as a lead attorney for BakerHostetler's court-appointed representation of Securities Investor Protection Act Trustee Irving H. Picard for the liquidation of Bernard L. Madoff Investment Securities LLC in efforts to recover assets for the Fund of Customer Property. Is a core member of the strategy team supervising the global investigation and litigation of hundreds of actions seeking the recovery of fraudulent transfers for equitable distribution to the defrauded customers filed by the Trustee in the United States Bankruptcy Court for the Southern District of New York against financial institutions, money managers, insiders and sophisticated investors. Represented a senior government official in Iqbal v. Ashcroft, involving constitutional and statutory challenges to the detention policies following the Sept. 11 terrorist attacks, resulting in a favorable U.S. Supreme Court ruling on the pleading standards required to bring actions in federal court. Managed a large-scale, multidisciplinary team in Lanham Act litigation against numerous competitors of a leading client in the prepaid calling card industry. Managed a large-scale litigation team in Lanham Act claims against a competitor trademarking distributor for a beauty care industry client. Counseled a media conglomerate on digital media issues relating to contracts, licenses and intellectual property, among others, in pre-litigation management work. Advises numerous technology companies in pre-litigation work, including on contract and intellectual property issues, and handles disputes with customers and partners to avoid litigation. Regularly advises technology startup founders in potential pre-litigation internal and external business disputes, including employment terminations, redemption agreements, convertible and promissory notes, and vendor and customer contracts. Provides broad-ranging and ongoing counsel to Decisive, a rapidly growing ad tech startup that provides a platform for optimizing mobile advertising campaigns, in connection with its intellectual property strategy and IP protection. Further represents Decisive in all corporate, tax, employment and incentive stock plan matters related to formation and funding. Provides a leading enterprise-level social relationship platform with a comprehensive assessment of all the major social media networks' privacy policies and analyzes the company's data use cases across the multiple social media platforms to maximize brand and agency customer value. Provides risk analysis and pre-litigation counsel to the leading marketing developer of a platform aggregating user-generated social media content concerning potential Lanham Act, copyright, trademark and regulatory exposure with the use of user-generated content to promote brand content and best practices concerning the same. Provides pre-litigation and contract counsel to a first-in-class ad fraud, viewability and brand safety tech startup on Lanham Act, unfair competition and trademark matters. Provides broad-ranging and ongoing privacy and IP counsel to a rapidly growing ad tech startup platform optimizing mobile advertising campaigns. Counsels an online publication on native advertising, influencer best practices and policies, and regulatory compliance. Provides general counsel services to an ad tech programmatic and publishing vendor. Has represented through the New York City Bar numerous immigrants in removal proceedings. Spearheaded efforts to organize Spanish-speaking attorneys to volunteer for deferred action relief and Latino voter protection efforts in New York City and nationwide. By Fernando A. Bohorquez Jr.